Move Archives - ANALYSISTABS - Innovating Awesome Tools for Data Analysis! Copy worksheet in VBA is used to Copy the worksheet from one location to another location in the same workbook or another new workbook or existing workbook. 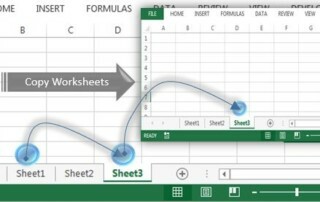 Move worksheet in VBA is used to move the worksheet(s) from one location to another location in the same workbook or another new workbook or existing workbook.